Clients for whom we had designed a house in San Francisco asked us to complement their existing weekend house in the Sonoma Valley with accommodations for formal entertaining and a poolhouse that doubles as a guest cottage. 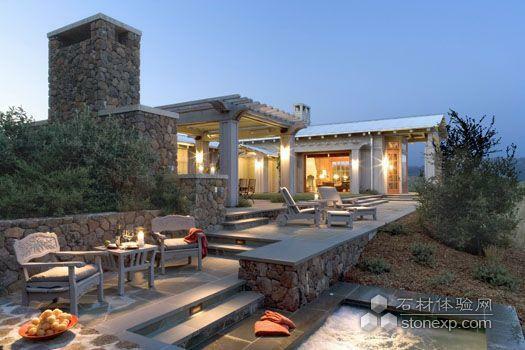 Atop a hill at the entry to the property, oriented to spectacular views south to the Sonoma Mountains and east and north over the valley, a reading room, a kitchen wing, and a dining pergola with adjacent barbecue frame an entry lawn. Downslope, a pavilion is situated amidst mature Arbutus and tall live oaks, with a south-facing pergola overlooking the pool. 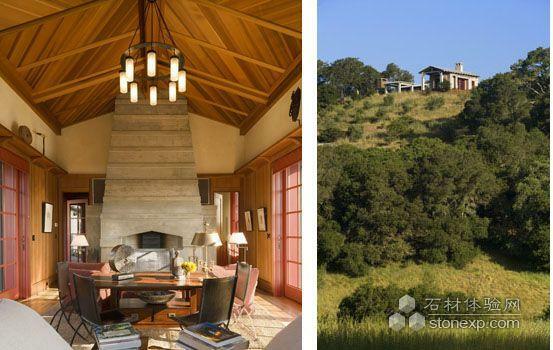 The two structures share a common vocabulary inspired by northern California farm vernacular with a nod to the work of Bernard Maybeck and a common palette of cedar board-and-batten siding, corrugated metal roofs, Sonoma stone walls, and bluestone paving. A new main house is under construction on the brow of the next ridge.